You’re thinking, wait, how can the world’s largest natural flower garden be located in a country that’s largely a desert wasteland? Certainly must be a mirage, right? I would say that I shared that sentiment before my visit, but I didn’t even know of its existence until my cousin, Teddy, who resides in Dubai, suggested we go. I was completely floored by the garden, and as someone that is more than obsessed with flowers and all things floral, this really was a miracle of a garden, and no it’s not a mirage. Since 2013 I’ve been fortunate enough to spend my solar return in a different country, and that year, March 2015, I happened to choose the United Arab Emirates. I flew out of JFK, on a direct flight to Dubai on Emirates. Almost 15hrs later, I arrived the following morning to this Middle Eastern country that is seen as a leader in diverse and cultural attractions. My room at the Warwick Hotel in the business centre was not ready yet, so I met up with Teddy. The first thing I had wanted to see was the Burj Khalifa, the still reigning champ of world’s tallest building. At 828-metres (2,717ft) it’s been the world’s tallest building since 2018. 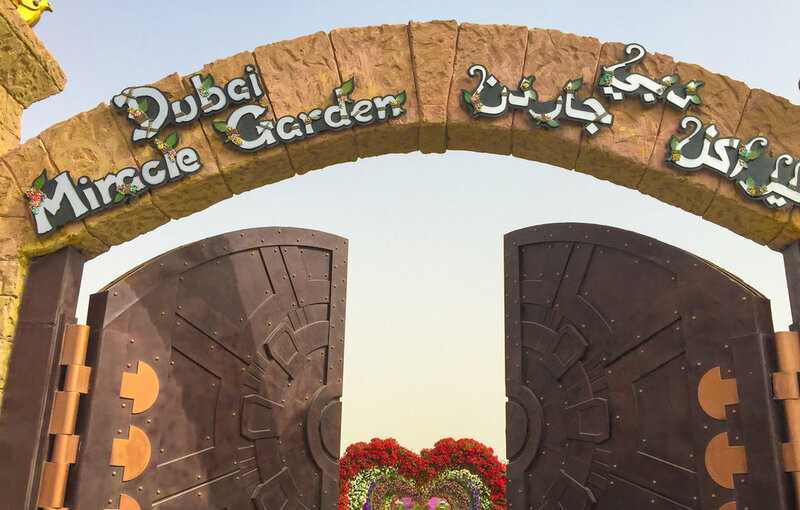 After admiring the structure, taking a few pictures and walking around the Dubai Fountain and mall, Teddy suggested we go to the Miracle Garden. Having only opened two years prior, and him having only lived there for a year, he had never been, but had heard good things about it, and figured it would be up my alley. He wasn’t wrong. 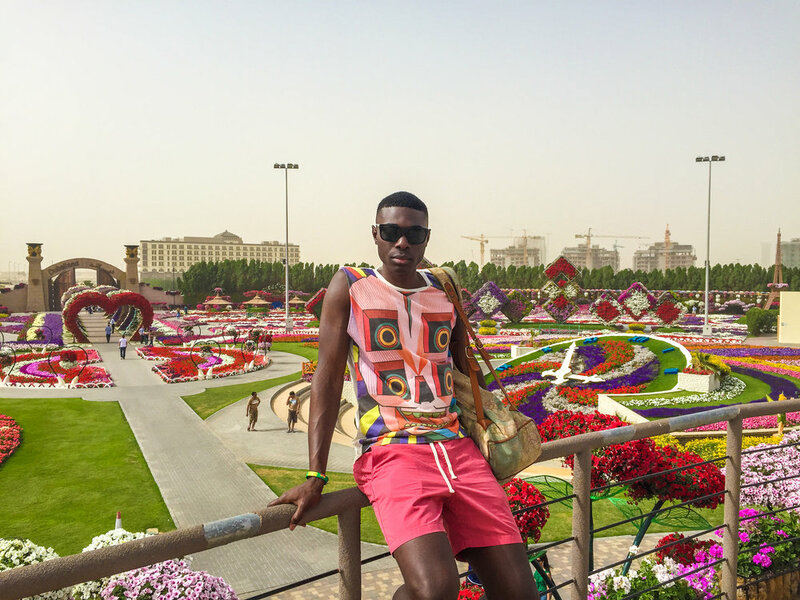 We took the metro from Dubai Mall to the Mall of the Emirates stop and then took a taxi to the garden, that can only be described as a floral Eden. BRB. I’ve died and gone to floral Eden. 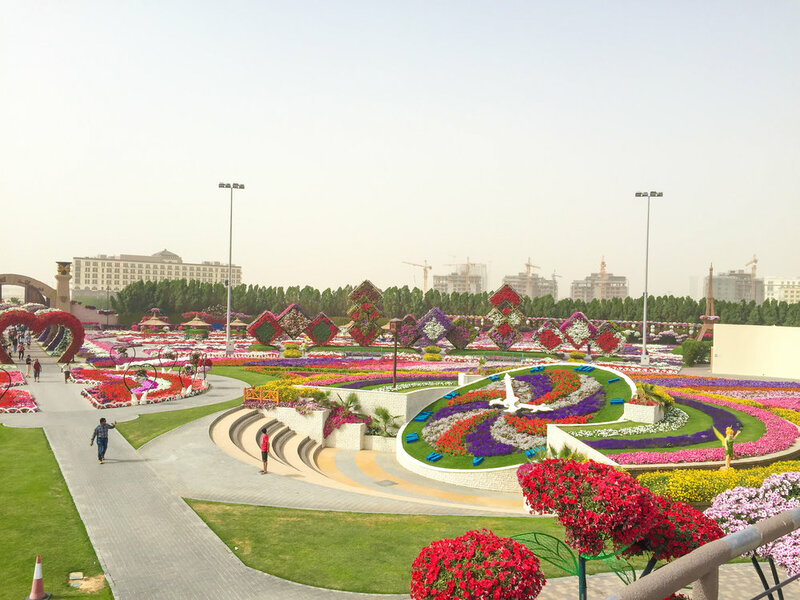 Launched Valentine’s Day 2013, the Miracle Garden contains a myriad of flowers and floral sculptures, the largest being that of an Airbus A380. There are over 50 million flowers in the garden, yes 50 Million! A dream comes true for anyone that appreciates flowers. It is more than your average garden actually. Think of Willy Wonka’s Chocolate Factory, but instead of out of this world candy confections, you’ll find breathtaking floral structures and more; a pathway of larger than life hearts, large floral houses, windmills, and even a flowery Effiel Tower structure. It’s a visually stunning floral paradise that not only holds the record for being the largest natural flower garden but also holds the record for having the longest wall of flowers. 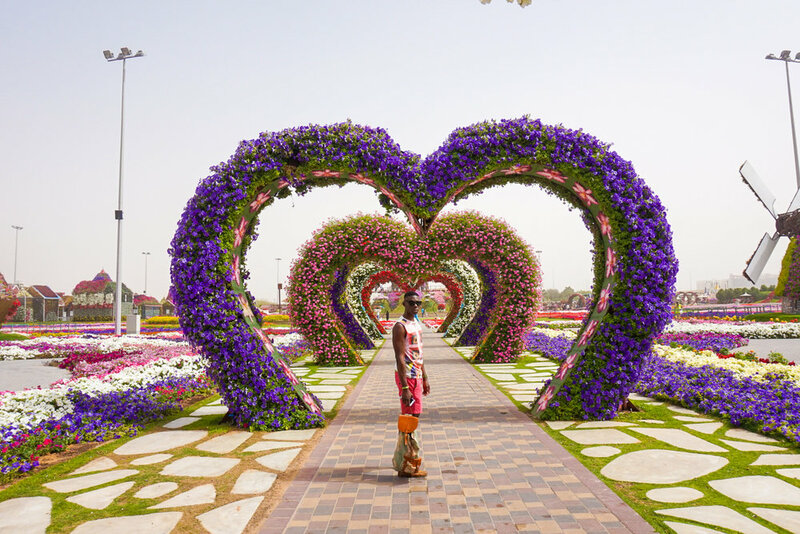 Sure, you might not be as flower crazy as me, but this place gets a total of five stars in my book and is definitely worth a visit when in Dubai. Check below for some logistics to plan your trip there and enjoy the imagery! Please comment below, or email me any questions. Peace. Love. Flowers. Travel. Closed: Summer months, as it’s too hot for some flowers and plants to grow normally. Since it’s usually closed for maintenance from Mid-May to December, the best months to go are January to April.